Recently a gentleman from Bradenton, Florida contacted me with the idea of having me create an original oil painting for him. He was unaware of my artwork until he stumbled upon it online. 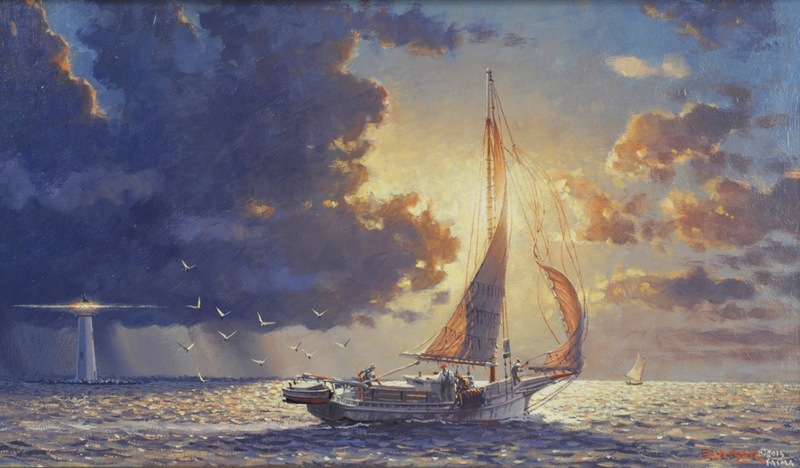 He desired a Chesapeake Bay scene with a local lighthouse and an oyster dredging skipjack with dynamic sky including bright sunlight as well as ominous storm clouds. 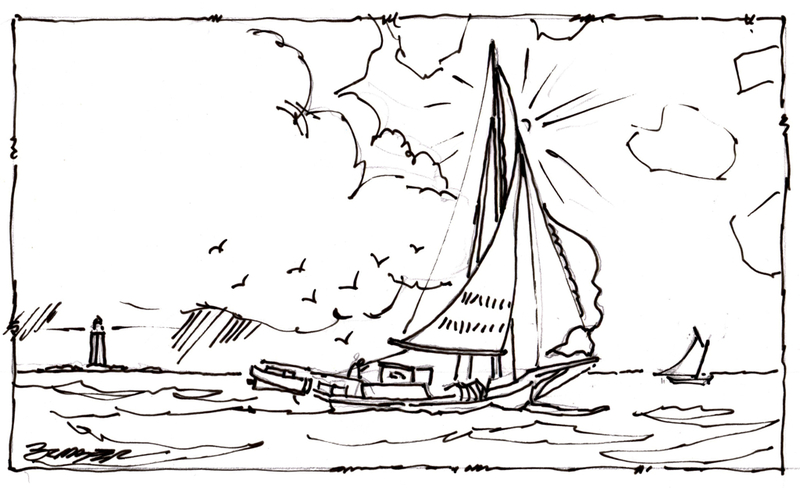 I included the New Point Comfort lighthouse, sent two pencil sketches via email and he made his selection. At this point I began the painting while he considered frame choices. He selected a handsome gold and black molding and the oil was completed, framed and shipped to him with hand-lettered nameplate and House of Troy painting light. He reported being thrilled with the outcome. 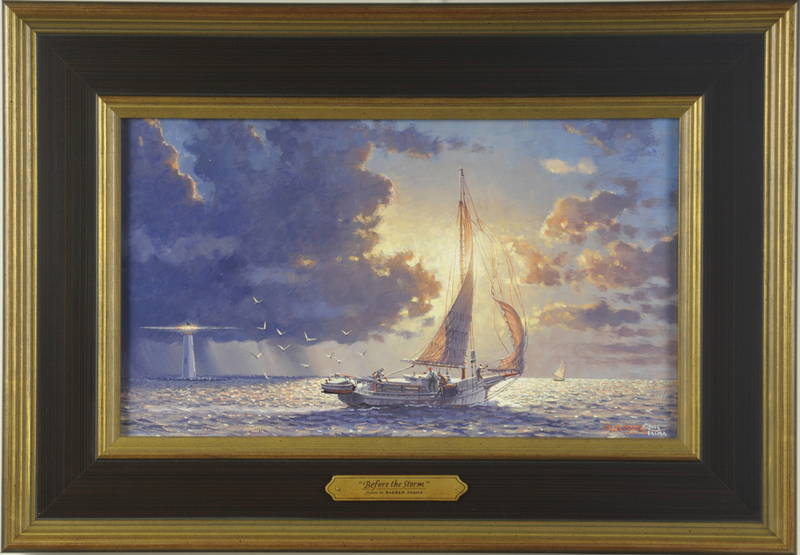 The artwork is oil on stretched linen canvas measuring 10″ x 17″ – overall framed size 16 1/8″ x 23 1/8″ and completed with a hand-lettered nameplate and House of Troy painting light.